Food today is manufactured for mass consumption with very little attention paid to it being nutritious. The additives are designed to make you feel less satisfied yet “hooked” or “addicted”. The more you consume, the less satisfied you are, the more you eat . Off to the store to purchase more, which stimulates the production from the manufacture. Lets take peanut butter. I started to notice how often I needed to purchase this product. I also noticed that on a day where the hungriness is unbearable in coming home and starting to prepared dinner, I would reach for a spoon full of peanut butter. Cravings! Ahh, satisfying. For a little while anyhow. Not sure what prompted us but we made the switch to natural peanut butter. I had been down this road before, what a pain. Keeping it in fridge, eww its cold. Having to mix it every time. What a pain. When the student is ready……this time around we have now been using natural peanut butter for a year. Funny thing is, I don’t even crave it. When I want something different than a shake I will reach for peanut butter and banana on a pita. Point is, the sugars in the regular stuff had me in their grasp. We ate more, we bought more. It’s a business. Yes, when your standing and looking at the two, side by side on the grocery shelf and you see the price, it’s tempting. Resist the temptation and go natural. 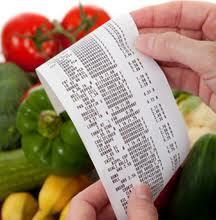 You will notice,over time, the difference in your waist, on the scale, in your health and your wallet. Organic or not? Big question. In a perfect world everyone would be able to consume everything organic. Sometimes, you need to pick and choose. After reading EWG’s guide I was heart broken to read that green beans are one of the no no’s. I probably consume them daily; raw in a salad or by the handful as a snack. This is when you need to evaluate, do I go organic. With picking n choosing your battles ask yourself, how often do you consume the particular food. With something like that, I would highly suggest you go organic. You must remember that any and EVERYTHING that you do to up the standard and quality of food you consume, will be better than nothing. Our livers are so toxic and overworked right now that even the slightest change is a good thing. Although there may be a higher cost for organic and healthier foods, have you taken into account the high cost of health care resulting from poor food consumption; missed time at work, opting out of family activities. Support organic and small farmers, and improve your own health by consuming more organic foods – those without chemicals, pesticides, growth hormones, and genetic modification. Previous PostWho Says Money Doesn’t Grow on TreesNext PostIs the Snooze button the biggest threat to your morning exercise?